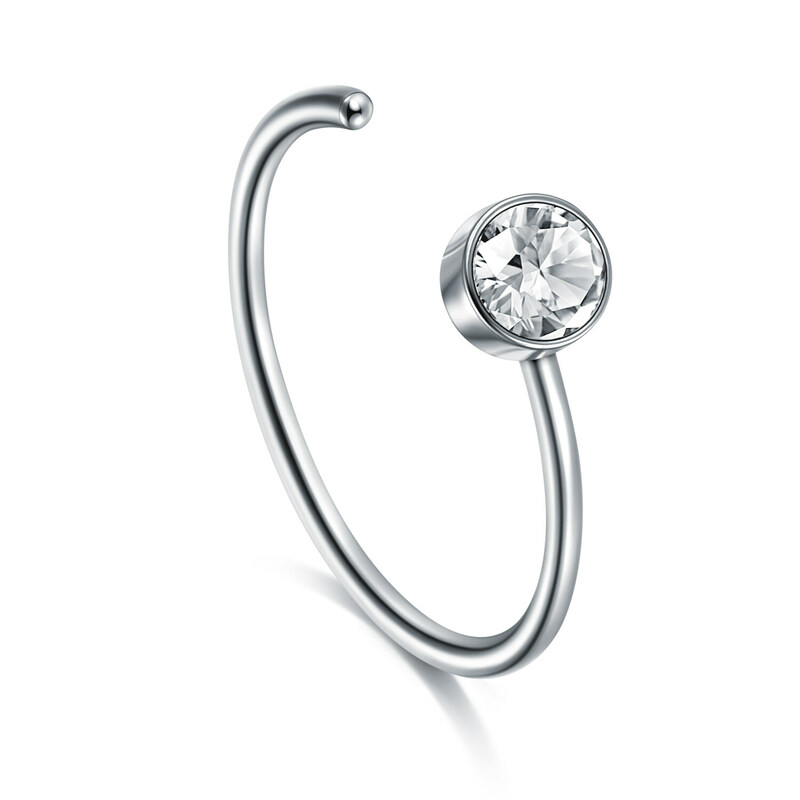 These fake nose ring hoops are made of 316L stainless steel.Nickel-free and lead-free. Could be long time wearing. 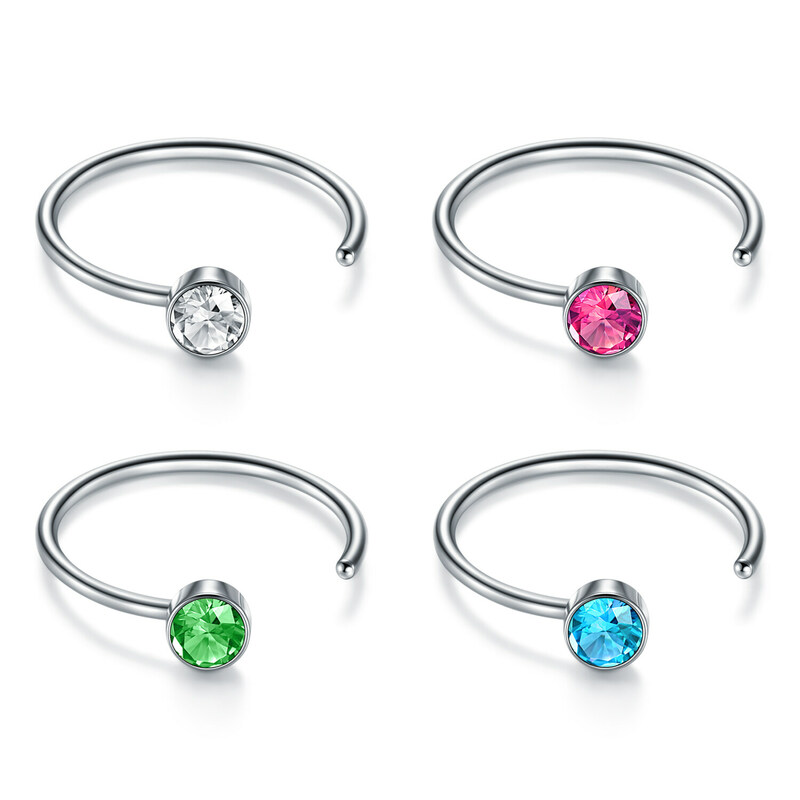 4pcs CZ Nose Ring C Shaped:Gauge: 22g(0.6mm),20g(0.8mm),18g(1.0mm),16g(1.2mm); Inner Size is 5/16" (8mm),3/8"(10mm); CZ stones 2.0-3.0mm . 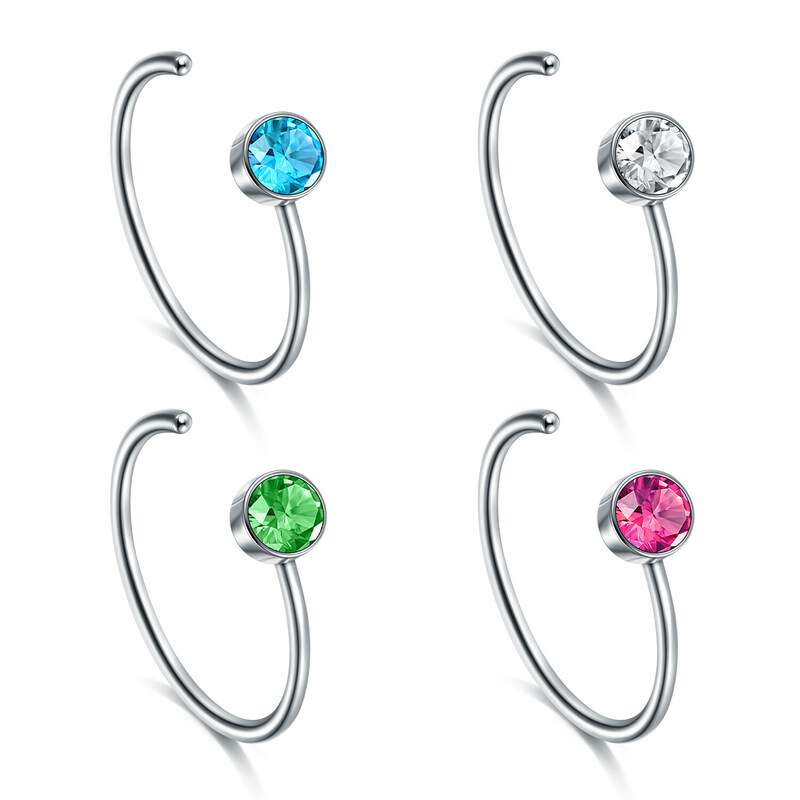 These hoop nose rings and nose studs are simple and elegant for daily jewelry. 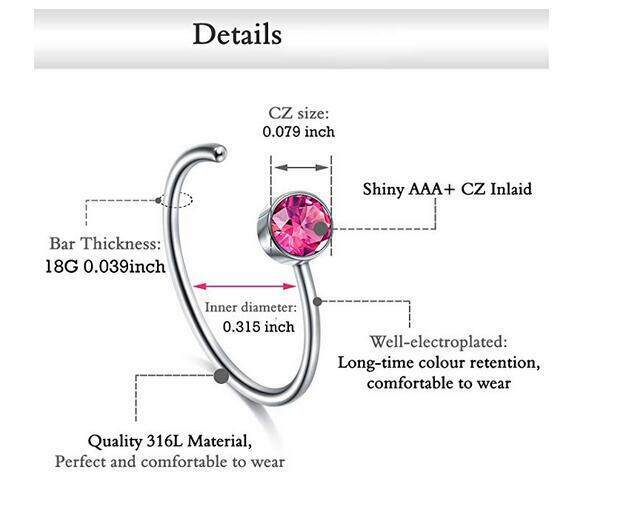 Easy to open and wear. Perfect for women, men at any age.